NC State’s historic Build-A-Block program nears completion after nine months of intense effort. A scant nine months after groundbreaking, NC State’s historic Build-A-Block project is nearing completion and will soon hand over the keys to six more families in need of quality affordable housing. More than 5,000 volunteers from NC State and other partners contributed some 20,000 work hours for Habitat for Humanity of Wake County’s Build-A-Block project off Lake Wheeler Road in Raleigh, raising more than $650,000 over the last two years and raising the roofs on 11 new townhomes since last summer’s groundbreaking. Those interested in helping complete the full $715,000 commitment for the homes can still donate online or purchase a Build-A-Block T-shirt. The first five homes were dedicated in January, with families moving in shortly thereafter. The final six homes will be completed over the next two months, with the remaining families scheduled to move in by June. On Saturday, May 6, however, the site will be dedicated so that students who played an important role in the largest collaboration between a campus chapter and a Habitat affiliate in the country can take part in the celebration before they leave for the summer. “This is a historic project for many reasons, and it has been great to see so many people from the campus and community come together to get us so close to completion,” says NC State Assistant Vice Provost Mike Giancola, one of Build-A-Block’s co-chairs. 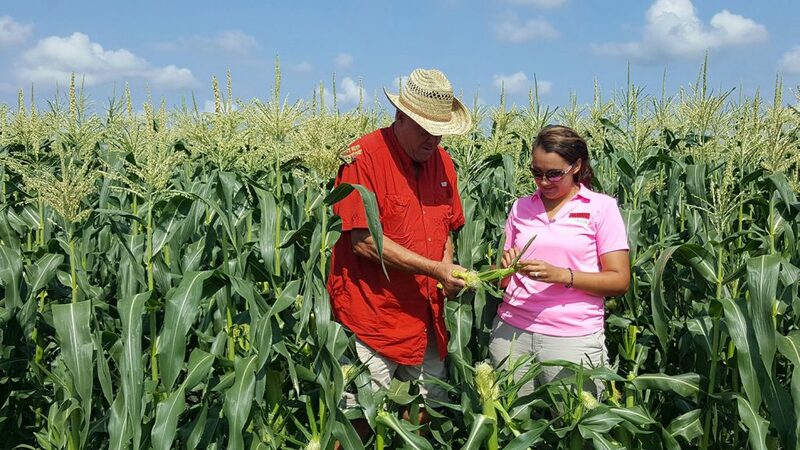 “It’s been exciting to work alongside the families who will eventually be living there, to see their excitement and know we have had a small part in it. 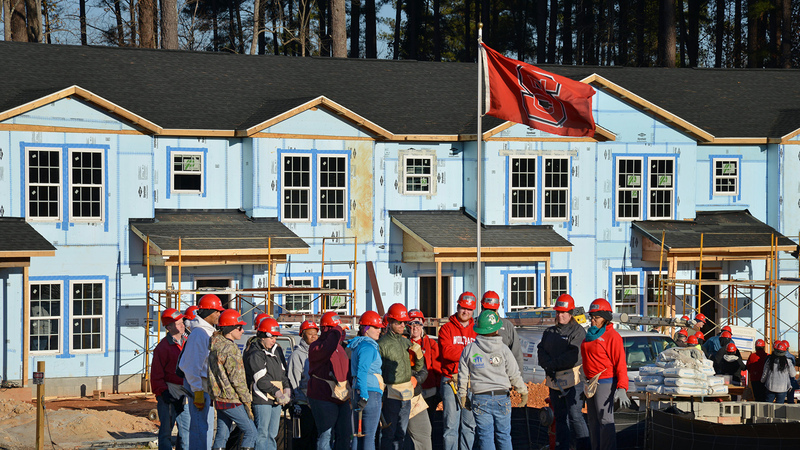 NC State’s Habitat Campus Chapter led the way in raising more than $100,000 for the project, primarily through its annual Shack-A-Thon fundraiser. 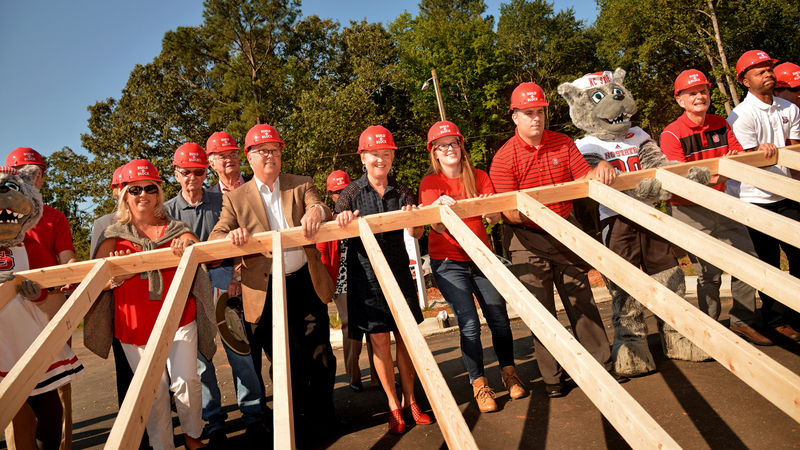 The athletics department stepped up as a Platinum Hammer sponsor, contributing $65,000 (the cost of one townhome) and asking student-athletes and staff from each varsity team to volunteer on site to help build the homes. Other platinum sponsors include ABB, MetLife and Pergo Flooring. More than 40 other sponsors contributed at least $5,000 each to fund the project. 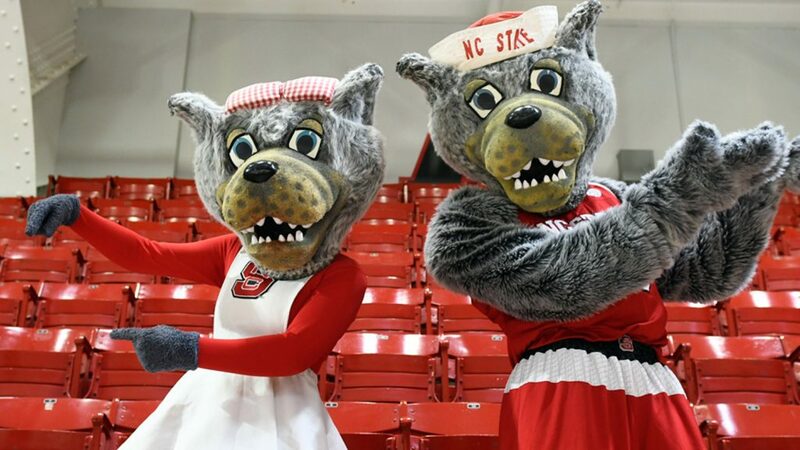 In addition to the athletes and campus chapter volunteers, dozens of other NC State student organizations invested hours on site hammering, sawing, installing insulation or painting. “Habitat provides everything the homeowner needs to get a hand up (not a hand out) and that is why I partner with them,” says Alexander Simpson, an NC State senior and chair of fundraising for Build-A-Block. “The size of the project is massive but the important thing to me is the 11 families whose lives we are helping to improve. NC State’s chapter is one of the strongest in the country. Since 1996, it has raised more than $350,000 and has helped build 22 homes in partnership with Habitat Wake. “The Habitat campus chapter has grown to meet the need for affordable housing shared by 28,000 families in Wake County,” says past chapter president and Build-A-Block co-chair Sarah Paluskiewicz. “Our chapter started Shack-A-Thon with one shack and now engages dozens of student organizations and community partners each year on our campus and in similar events around the country. All who worked on and donated to the project are invited to tour the homes beginning at 9:30 a.m., with a short dedication program set to begin at 10 a.m. To RSVP for the dedication, email kyle.sermon@habitatewake.org. Below, you can take a look at just a few of the thousands of Build-A-Block volunteers in action.